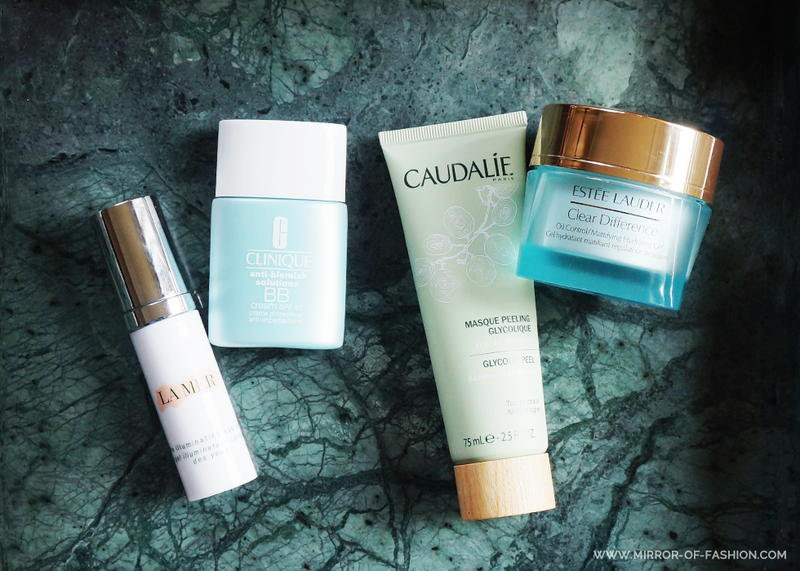 Today is for sharing my personal fab four when it comes to getting a clear complexion and bright fresh look. I have mentioned my struggle with breakouts before and it is finally starting to look like I've found my perfect morning ritual to improve my overall skin condition. A true eye savior! I've been using it for a few weeks now and it instantly lights up the entire area erasing almost all signs of stress and fatigue. The perfect BB for warm summer days; immediately mattifying your skin, concealing all flaws and providing it with a lightweight yet even coverage. On top of that you get protection to the fullest with SPF40. My new favorite exfoliant activating cellular renewal for fresh, bright and even skin. I use it twice a week and can actually see and feel the results on my complexion. My skin is smoother and more luminous and even my texture looks refined. Already considered as an epic holy grail in my bathroom. This daily moisturizer smooths away all my impurities while delivering immediate radiance. If you're looking for dramatic change in your skin, look no further! Ik ben het met je eens op alle vlakken met deze keuze!